It is a bit difficult compiling statistics on Kurt Steger’s softball career, especially if you are relying on Steger to remember the details. The problem is, he does not care about the details, or batting averages or even the MVP awards. What is important to this well-accomplished all-around athlete are the wins and championships he helped create with his teammates. Kurt Steger is first and foremost a team player. 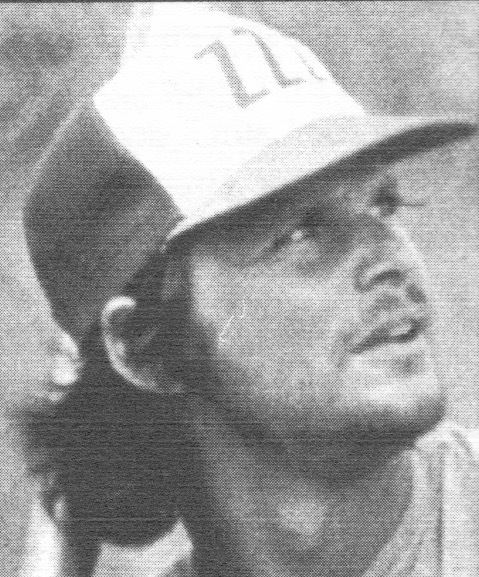 A high school All-State player from Roselle, Steger was a star quarterback and pitcher at the University of Illinois in the mid-70s. He was drafted by the New York Mets, but a knee injury would keep him from ever realizing his dream of playing either professional baseball or football. So Steger turned to softball to satisfy his competitive urges. Over a 17-year career, the rifle armed third baseman compiled a .630 lifetime average with over a thousand home runs. Early on, he helped one of John Lilly’s original teams capture the USSSA Class B State Title in 1978. The next year, he began playing with a group of friends on ZZZ Fasteners out of Champaign. Steger was tournament MVP in 1982 when they exploded out of the loser’s bracket to win the State Class A Title. Steger moved to the power house Lilly Air team in 1983, starting out on the bench. He was soon a started at third, solidifying an infield that consisted of Al Van Gampler at shortstop, Ron Olesiak at second and Earl “T-Bird” Funderberg and Ken Parker at first. “His arm was as strong as any I’ve seen,” Joe Black pitcher/manager Tom Starck said. Steger reminisced about the athletic prowess of the team. The Lilly team would make its mark at the highest levels of softball over the next three years, and one of Steger’s most satisfying softball memories was created during that period – Lilly Air beating Howards Furniture 28-17 in a loser’s bracket game of the 1985 USSSA World Series. “The best time I ever had in softball was with Lilly,” Steger said. Following the 1986 season, Steger moved to a team in Kalamazoo, Michigan sponsored by Sunset Technologies. That team became the powerhouse Bunca Car Wash in 1987. Through it all, Steger put the needs of the team first and foremost. By the end of the 90s, Steger was looking to retire from ultra-competitive softball. But try as he might, when the fourth of July rolled around, he inevitably found himself in Wilson Park in Milwaukee playing in the USSSA NIT against the big boys. Finally, after the 1993 season, Steger did leave AA ball. The following season, he helped his team finish second at the USSSA Men’s 35 & Over World in Detroit. Greg Jones has been both an accomplished athlete and valued teammate in 27 years of USSSA ball, as much admired for his support in the dugout as for his power and athleticism on the playing field. A pure power hitter who hit to all fields, Greg originally started out playing ASA ball with Century Concrete of Alton. He soon switched to USSSA softball, and he has competed in numerous State Tournaments as well as six World and seven Divisional Tournaments. Over that time, he compiled a .700 batting average and hit over 1,500 home runs, taking the ball to all fields. The southern Illinois native has played for teams like Victor Drugs, Brauns, the Sparta Merchants, Pop-A-Top, Kohlers and Fast Eddies Bon Air. A versatile athlete, Jones has played most every position in the game. An outfielder in his youth, he eventually moved to the infield, primarily shortstop and third base. He considers third his maoin position today. Actually, the Illinois USSSA Hall is a step behind. Jones has already been honored in his hometown of Sparta, Illinois, where a plaque hanging at City Hall commemorates his accomplishments. Jones takes it all in stride. Actually “humble” may be an understatement. “It took me three years to get him to fill out the Hall of Fame application,” Brockmeyer said. Jones, who still lists his greatest softball thrill as getting a game-winning hit is equally understated in his softball accomplishments. Jones, whose career coincides with the formation of the Illinois USSSA program in the early-70s, appreciates the growth of USSSA ball. “I feel that I am part of the history of the game. I’ve watched the game change in so many ways. It’s been both fun and a challenge,” he said. Still active at 48-years-old, Jones’ .889 average earned him MVP honors at the USSSA Master’s tournament in Peoria in 1997.